Those of us who are pet lovers will know that dogs are simply great. 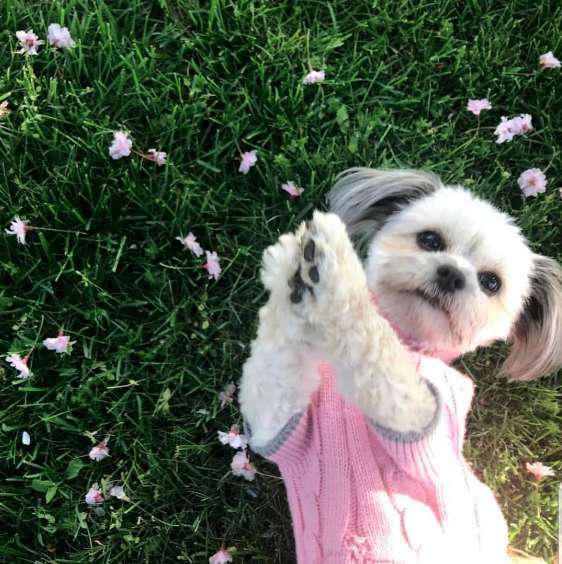 Many netizen have exclaimed that dogs are too good for us, and too pure for this sinful earth. And many more will likely agree with that near-universal sentiment! There is nothing quite as innocent and as loving as a well-treated dog, and they certainly deserve all the love and care that they can get. This is especially so when you consider the joy and hilarity they bring into our lives with the antics they get up to during the course of their lives. There never seems to be a dull moment when you have a mischievous pooch roaming about the house! 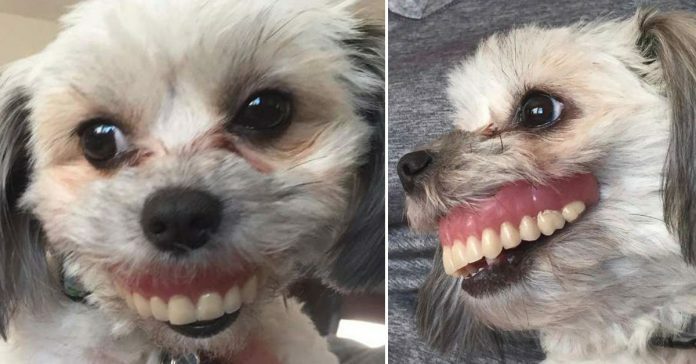 So when this Shih Tzu decided to steal her Grandad’s dentures, everyone couldn’t help but laugh! 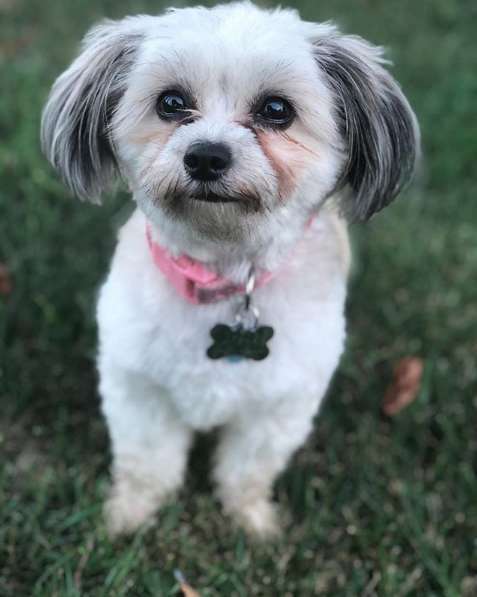 A Twitter user identified only as Eunice decided to share a story about her adorable little dog, Maggie the Shih Tzu. Sometime in the middle of the year, Eunice’s unnamed father was busy with taking an afternoon nap on the couch, as old folks are wont to do. Due to poor dental health and age, he has to wear dentures. And as any denture-wearer can attest to, dentures aren’t always the most comfortable thing to keep in, even if they are incredibly vital. Eunice’s father had been finding his dentures pretty uncomfortable that day, so he had taken them out and had set them aside before delving deeply into his nap. When he woke up later, he was in for a small surprise – his dentures were nowhere to be found. Confused, he then got up to start looking for them, thinking that he may have absentmindedly left it in the bathroom. As it turned out, they weren’t there either, and so he went downstairs to search there instead. In the hunt for his false teeth, this doggie Grandad then spotted Maggie hanging out under Eunice’s living room table. It was instantly obvious who the thief was, considering Maggie seemed to have mysteriously acquired a brand new smile out of nowhere. 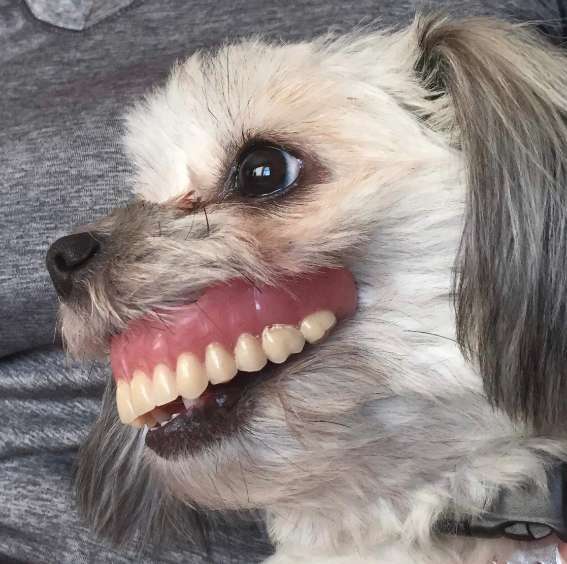 After getting over his laughter at the sight, Eunice’s dad then sent his daughter a picture of the dog wearing the stolen dentures. Somehow, Maggie had managed to figure out how to wear the dentures correctly! In the pictures that Eunice later shared with the internet, the culprit looked very pleased with her stolen goods, much to everyone’s merriment! Upon learning about the antics her dog had been up to, Eunice couldn’t help but laugh at the sight. 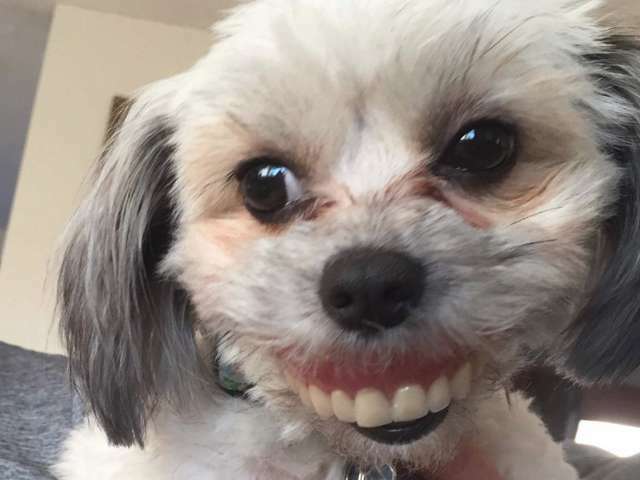 Alas for Maggie, she wasn’t allowed to keep her new set of teeth for too long, as Eunice’s dad would retrieve the dentures shortly afterwards. He then gave it a good scrub and vowed to put it someplace safer next time, although only time will tell if he will successfully keep that promise. Until then, it was nice of Eunice to share these images with the world, so that we can all laugh together with her! SEE ALSO: How This Funny Dog Grabs Grandma’s Attention Will Make You Laugh!